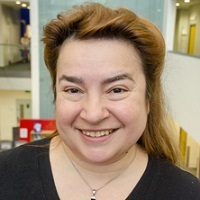 The BBC Trust has published the findings of a report by City University London economist Dr Xeni Dassiou that looks at possible changes to the way the BBC is funded. The academic, a Reader in the Department of Economics, was commissioned by the Trust to investigate the models used to finance the UK’s transport sector to see if aspects could be applied to the BBC’s funding system. The report, Charter Review price setting models – A rail and road comparison study, was one of three cited by the BBC Trust as it set out potential changes to the way it regulates the BBC. In its policy paper, Protecting the BBC’s Independence, the BBC Trust states that the reports can provide a “starting point for dialogue with the Government” ahead of the renewal of the BBC’s Royal Charter. The City academic’s paper looked at the ways in which the state-owned companies Network Rail and Highways England are regulated by the independent economic regulator, the Office of Rail and Road (ORR). According to the academic, the ORR carries out periodic reviews that determine the charges paid to Network Rail by train operators using the railways. Using efficiency comparisons with international competitors and similar companies, known as benchmarking, the ORR also advises the government on whether Network Rail and Highways England can realistically deliver their targets given their funding. She adds her analysis draws out “issues that may serve as lessons in price setting by a potential future independent external regulator advising the government on the level of BBC funding”. Following the publication of the research, the BBC Trust called for the Government to consider including a “more regularised and formal process” for setting the BBC’s funding in the Royal Charter, which provides the constitutional basis for the broadcaster. The Trust suggested the public has more say in future licence fee settlements through consultations. It also argued that if it was replaced by an independent regulator, that body should have a role in assessing the broadcaster’s funding requirements.